I've found a bug. How do I report it? The more details of the issue you give us, the faster we can work out what's gone wrong and how to fix it. Have you enabled spaced repetition? 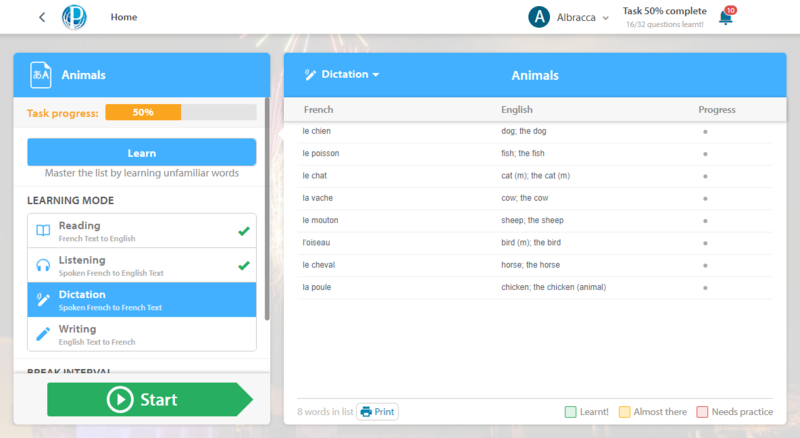 Spaced repetition requires students to earn more than one star on each word within the task. The day after they first learn a word, your students can revise the same word to earn themselves a second star. After another week students will be able to repeat the activity to earn the third star, etc. If you would like your students to learn the content more than once, it's important to note that, after they've they won't be able to progress in the task until a certain amount of time has passed. For more information on how our points and scoring system works, you can read through our help guide: How does the points/scoring system work? Have you included previous progress? When a task does not have previous progress included, students will need to complete the content from within the task, within the due date. Any attempts done outside of the task will not be included. Has the lesson been edited since the task was assigned? 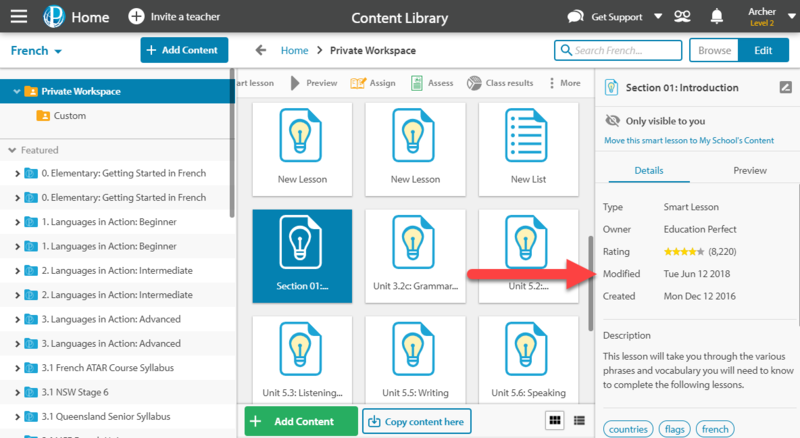 If a lesson has been modified in the duration of the task, students will lose their progress for any of the words or questions that have been modified, even if the modification was only adding additional correct answers. My student has completed the work but it is not showing 100% Have your students completed all available Learning Modes? A task will only be counted as 100% complete when the student has completed all of the Learning Modes that have been selected for the task. Has the task/assessment started yet? If a task or assessment has been created to start at a future time or date, it will not appear in the Student Zone until the set starting time. 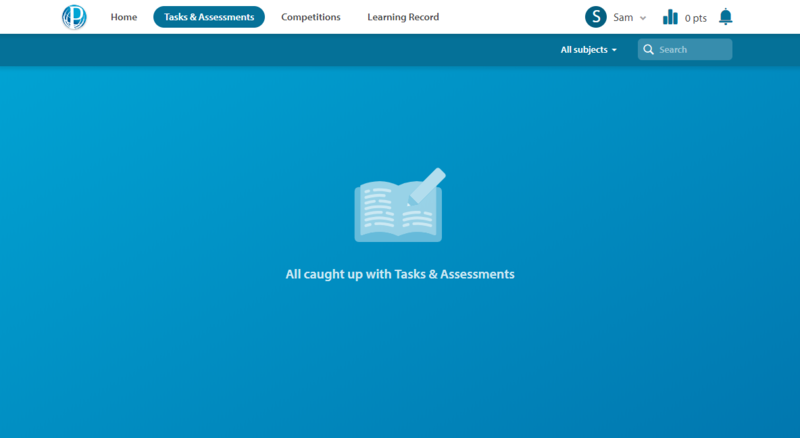 Once the task or assessment has started your students will be able to see it in the Tasks & Assessments section of their Student Zone. If you think you've found a bug, please provide us with as much of the following information as possible. All this information can be emailed to us directly at support@educationperfect.com. The developer console often contains error messages that can help us to diagnose an issue. To find out how to get a console log, check out our guide. Name Letting us know the username or full name of the affected user allows us to look into that users account to see if we can reproduce the issue. Location To fix an issue, we need to know exactly where it occurs. Let us know the page you were on. If the issue is with a lesson or assessment, let us know the exact name of it as well as the exact question that it occurred on. It can also be useful to get the exact web address that the issue occurred at. Device and Browser Many issues occur on some devices or browsers but not others. You can give us a report on this information by going to https://www.whatismybrowser.com and sending us the Tech Support URL. What device and browser should I use to access Education Perfect? has more information on what we recommend for you to be using. Switching device or browser might resolve the issue for you. Show us what's happening. Screenshots and videos are easy to take and tend to provide us with a better understanding of an issue than a description would. Paste the image directly into the body of your email (right-click→Paste or Ctrl+V). Click the Capture Entire Screen button in the onscreen controls. Your pointer changes to a camera. The image should save to your Desktop. Attach it to the email. Are all the students in your class affected by the problem or just individual students? Approximately what time did they experience the issue? What is the model of the device they are using? If they are encountering the issue when using the app, do they still have trouble when they try using the website? Is the screenshot you've provided before the error occurred or after? Ideally we would like screenshots of both instances to refer to. Why am I getting server connection errors?